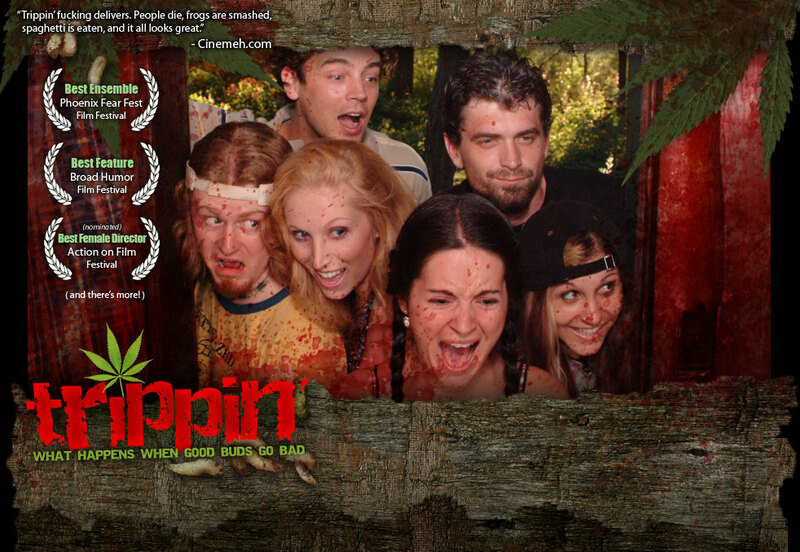 Latest Trippin’ Review – Wow! Congrats, Team – I think you’ll be particularly pleased by TRIPPIN’s latest review. Thanks to blogger Matthew Scott Baker for his kind words found HERE: http://matthewscottbaker.com Nice! Our First Amazon Review! And more Spawn Reviews, too! How fun! I just discovered that somebody left a review for TRIPPIN’ on Amazon. Check it out HERE. I feel so grown up. Nifty. Thanks, Kind Stranger! Meanwhile, we’ve gotten some more promising reviews for MARTINI MOM & DEVIL SPAWN. Check them out here: anythinghorror.com and http://www.allhorror.net/. Yippee! Go, Team! Wow! Google alert just found another fun review of TRIPPIN’ from the kind folks at Mondo-Digital. Check it out here: http://mondo-digital.com/trippin.html. Wow! Another nice write-up. Check out this new review from the kind folks at Cinema Headcheese (and kudos for an awesome name!) HERE.